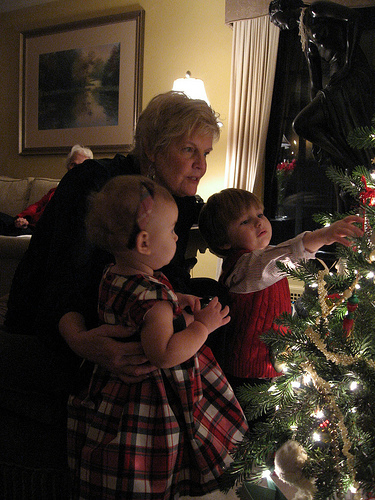 Grandparents - Will you be babysitting during this holiday season? Make the time something special for both you and your grandchildren. Here are some ideas. Christmas ornament featuring a picture of your grandchild. If one of you is a photography buff and you print out your own picutres of various sizes this is super easy to do. My husband has put two 2x3 pictures back to back in laminate. A whole at top with a ribbon and we have beautiful tree ornaments. You can also cutout felt shapes with a cutout for a picture. 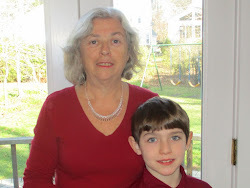 I had a wonderful time baking Christmas cookies with my grandson. Why not bake up a batch of cookies, put them in a holiday tin with a ribbon for you grandchild to give to parents on Christmas morning. Whether it is a holiday sing along, a living nativity, the Nutcracker or the Radio City Music Hall Show there is nothing like attending something musical or "spectacular" to put both young and old in the holiday mood. In our area the Turlte Back Zoo is featuring a "Holiday Lights Spectacular" with free admission every night until New Year's Eve. Many museums have special children's programs and holiday exhibits. The Newark Museum has special activities next week for families and the Ballantine House is decked out in traditional Holiday splendor. There are wonderful Christmas books for children at various ages. Reading about Christmas with a grandchild is an excellent way for them to grow to understand its true meaning and to share traditions across generations. Especially if you have older grandchildren, this is an excellent tradition to begin. Volunteer activities can be delivering presents collected for needy children, visiting elderly people in nursing homes and more. If you're up to it how about ice skating or skiing or even taking a winter hike to enjoy nature at Christmas. 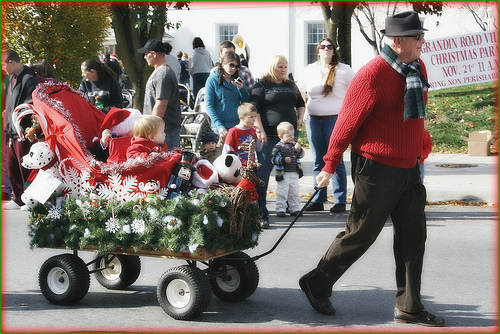 If you will have time alone with your grandchildren this season, celebrate and find something special to do together. It doesn't have to be costly but it may just become a new tradition. Great ideas, and I love the pictures.